Earn up to 31,200 reward points. The versatility of acoustic and electric guitar tones in one instrument. The Custom 22 Piezo provides musicians the versatility of wielding both acoustic and electric guitar tones in one instrument. PRS and LR Baggs partnered more than a decade ago to design the piezo system found in PRS’s original hollowbody models. The new system retains the same circuit design as the original, maintaining tonal authenticity and real world practicality. There are two output jacks on the Custom 22 Piezo, allowing guitarists to plug into their favorite electric or acoustic guitar amp or DI into a soundboard. By utilizing the separate blend control, the tone of the 85/15 pickups can also be combined with acoustic sounds through a single output. 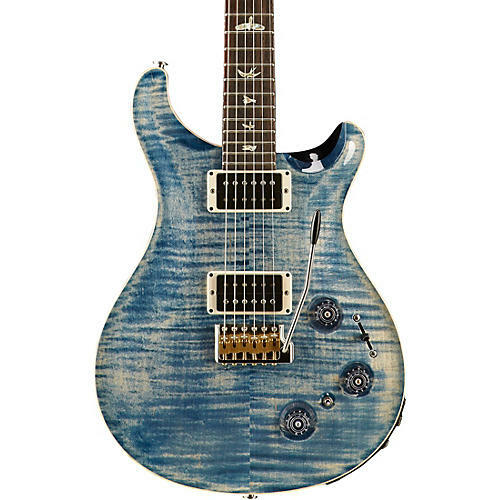 The Custom 22 Piezo comes standard with a figured maple top, mahogany back, mahogany neck with a 22 fret rosewood fingerboard, and a redesigned PRS/LR Baggs piezo system. Includes hardshell case.